A collection of all finished mods! Only the "fair" field is made. Permission is granted to modify and redistribute the textures. Oh well... I'm sure that it is a super mod but I just don't have the IT skills to figure it out. Question: Why is the midfield logo to UTEP so low-quality? 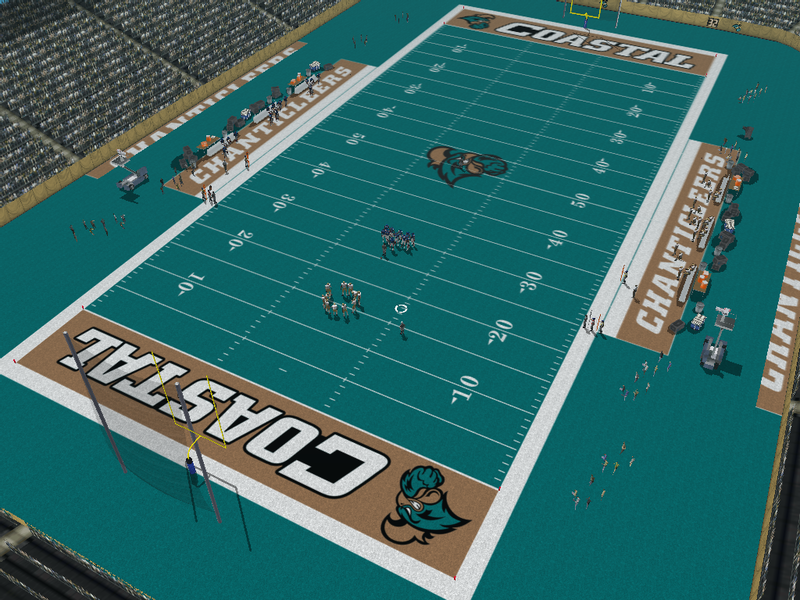 It's a bummer that you can't get the NCAA mod working if you like the college scene rather than the NFL. So technically the NCAA AO isn't a mod mod but like pick6 said it's more of a framework for an NCAA mod. I'll post a "Setup" video next week and hopefully that will get you up and running. sarcasticface wrote: Question: Why is the midfield logo to UTEP so low-quality? It's the one used in the customart.dat file. I made the field for myself but I thought others might enjoy it too so I uploaded it. You have my permission to edit the TPF if you like and reupload it. elguapo wrote: It's a bummer that you can't get the NCAA mod working if you like the college scene rather than the NFL. So technically the NCAA AO isn't a mod mod but like pick6 said it's more of a framework for an NCAA mod. Thanks... I'll be looking out for the video. Maybe that will help me to get the mod running. NCAA Add-On Setup video is up on the first post. Added a full field option placeholders to make it easy to make fields. I also need your input on which option you prefer. Check on nthe first post.